This was a sample I was sent as part of some little extra’s included with a prize from a blog giveaway. Any new skincare I usually pop to the back of a backlog I already have waiting to be used (accumulated from Glossyboxes) but as it’s only little and I’m not currently using a separate night cream I thought I would use this straight away. I’ve not tried any Weleda products before but had quite high expectations of this after reading blog posts about their products. This has a strong rose scent that sometimes I really like and sometimes I feel is a little bit strong. I’m not sure why I like/dislike the scent on different days. 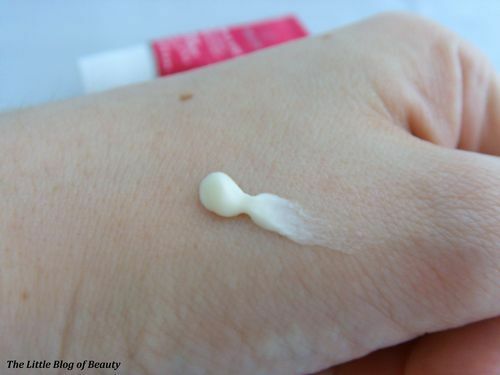 This is a thick and creamy night cream which you’d think would take a few minutes to sink in but I was surprised to find that it absorbs pretty much straight away as you apply it. When I use this my skin instantly feels soft and smooth and slightly plumped. I have only been using this for maybe a couple of weeks, which I know is not very long in terms of skincare, but I’m blogging about this already because of the instant results I got the first night I used this. My skin is pretty dull and I have quite bad acne scaring on my chin but after the first night I used this I got up the following morning and was delighted to see that for a change my skin actually looked really good. I’m lucky enough not to have any kind of breakout on my chin at the moment (they seem to have been quite frequent recently, probably uni stress!) and I was really pleased to find that my scaring looked really good as well. 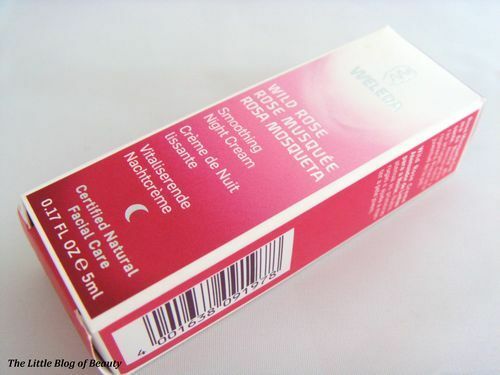 I really like this night cream and once I’ve got through my backlog I would definitely consider purchasing this. 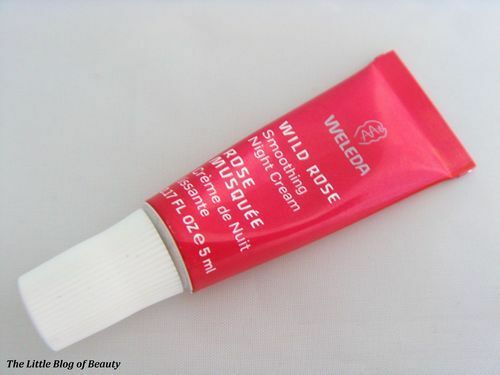 Weleda Wide Rose Smoothing Night Cream is available for £12.50 from Boots.